We see the beauty in any old vehicle regardless of condition. Sell Car For Cash Denver specializes in removal of used cars, running or not. We don't care if it is wrecked. We can use it anyway, and are willing to pay you CASH for the privilege. Speedy, reliable service. Get cash today. We value your time, as well as your car. We work around your schedule to provide the ultimate in service. One phone call is all it takes to begin the process. Our professionals will give you a cash quote, sight unseen. We guarantee that is the amount of money that will soon line your pockets. We come get the car at a time that works for you, even same day for free - This includes junk cars that no longer run. Yes, beauty is in the eye of the beholder, and Sell Car For Cash Denver appreciates the beauty of your old clunker so much, we are willing to pay you money for it. ‌Denver junk car professionals are standing by to talk to you about your junk car or truck. Let us explain how easy it can be for you to have cash in hand right away. Once you agree to a price, we will make all the arrangements. You have nothing to lose but time of a phone call. ‌We are confident that you'll be impressed with our cash for junk car service. We now serve the greater Denver area and Colorado with pride. Call us today. We’re the newest, fastest and most hassle free solution to your unwanted car problem. 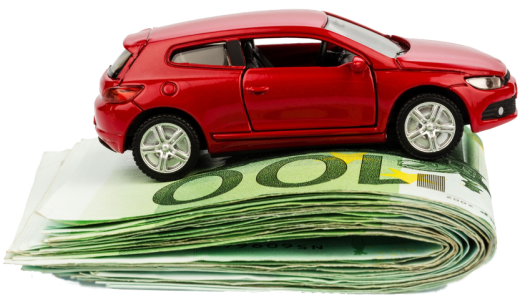 We offer high quality cash for just about any car, truck, SUV or van in the Colorado area. ‌Everyone knows that trying to sell your old, unwanted car can be quite the experience and often times leaves you wondering if you got a good deal or not. And did we mention just how time consuming the standard process can be. ‌Scheduling multiple meetings between buyer and seller can be a hassle and might not even end in a sale. Our fast, simple process eliminates all the hassle and gets your car replaced with cold, hard cash. All we need is a brief description of your car over the phone, no need to evaluate it in person. Once we agree upon a price over the phone, it’s guaranteed at the time of pickup, we offer pickup in and around Denver, Colorado free of charge. ‌We handle all of the paper work, eliminate the need for in person evaluation and offer free, same day pickup of the vehicle. The way you sell your old, unwanted car, truck, van or SUV is changing and we’re here to lead that charge. ‌We pay cash for your unwanted car and the vehicle doesn’t have to be running to qualify. There’s no catch, just pick up the phone and find out for yourself just how fast, time saving and hassle free this process is. Our knowledgeable staff will also walk you through the title transfer process. If you don’t know where your title is - no problem! We will work with you and make the process painless. ‌Then, we will set a date and time for our driver to come to you with all of the necessary paperwork to pick up your vehicle. We recommend that you remove all personal belongings and the license plate from the vehicle. If you don’t have the tools to remove the license plate, our drive can help with that too – free of charge. ‌Sell Car For Cash Denver is the most trusted car removal service available. We’ve been working in this industry for years, and we never charge hidden fees.